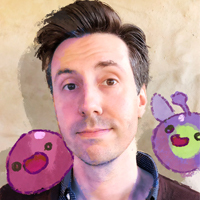 Nick Popovich is the Co-founder and CEO of Monomi Park, and Game Director of Monomi Park's breakout hit, 'Slime Rancher'. Since launching in 2016, 'Slime Rancher' has garnered critical acclaim, including a BAFTA nomination, and has been enjoyed by millions of players. Before founding Monomi Park, Nick spent nearly a decade at Three Rings/SEGA where he created and led 'Spiral Knights', one of the first Free to Play games on Steam and recipient of the 'Best Online Game Design' award at the Game Developers Choice Awards.